I have very fond early memories of tents. Like many children, my sister Amanda and I often set up tents made out of sheets in our house. Later, when we moved to Seattle, we had a small wooded area between the street and the front of our house. My friends and I would set up a tent among the trees and pretend we were out in the forest. I don’t know what it is about tents, but for me they have always created a separate reality from what is going on outside. Now, my son Benjamin and I often go backpacking together and we sleep in tents on those trips. 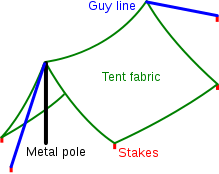 Most of the tents on the market are made overseas. But I have found a firm that has been making tents in America since 1944: Kirkham’s Outdoor Products of Salt Lake City. Kirkham’s makes the Springbar line® of tents. In 1944 Arthur Jack Kirkham purchased the AAA Tent and Awning company in downtown Salt Lake City, Utah. In the 1960s, Mr. Kirkham came up with the idea for the Springbar® tent. Kirkham’s tent manufacturing plant is in Salt Lake as is their retail store. Mr. Kirkham’s son Jack Jr. took over the company the late 1990s. Springbar® tents are great for extended backcountry trips, but given their weight they are definitely not backpacking tents. But for horse or river trips, they would be ideal. 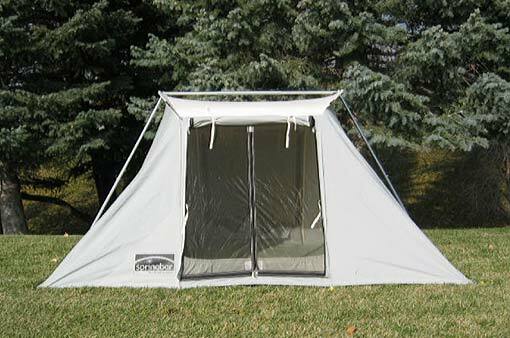 There are several models of Springbar® tents to choose from. 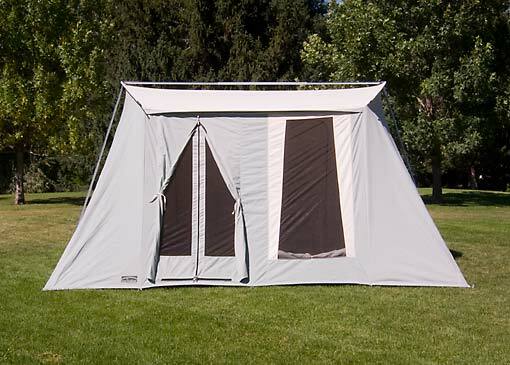 The Compact 2000 is the smallest Springbar® tent. The largest model is the Family Camper 7. You can sleep eight people in this tent so this is the definitely the tent for larger families. Finally, if you want something less substantial than a tent, Kirkhams has that as well. 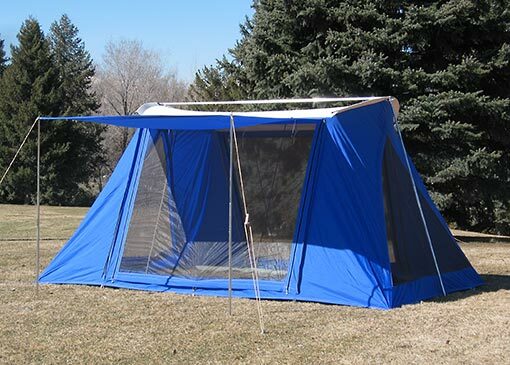 The Springbar® Family Shade is a great tent for picnics and the like. As we all remember from our high school literature classes, one of the most famous scenes in the Iliad took place in a tent. After Achilles kills Hector, Hector’s father Priam comes to Achilles’ tent to beg for his son’s body. I doubt Achilles’ tent was as nice as a Springbar® tent and it definitely wasn’t Made in America. So whether you are laying siege to a far off foreign city or just going for an extended fishing trip, you can’t go wrong with a Springbar® tent. This entry was posted in american made, Made in America, made in usa, recreation and tagged camping, Kirkham, made in usa, Salt Lake City, Springbar® tents. Bookmark the permalink.